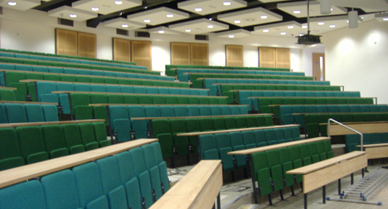 This project centred on the construction of a new, purpose-built 377 seat lecture theatre for the School of Medicine at Cardiff University, one of the largest medical schools in the UK. 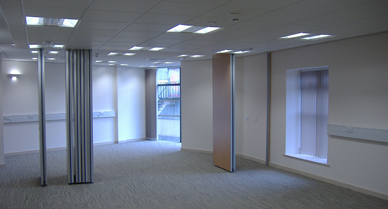 Conduct pre-completion acoustic commissioning tests to demonstrate achievement of both the client’s desired noise and vibration levels and those set by the Local Authority and Government. 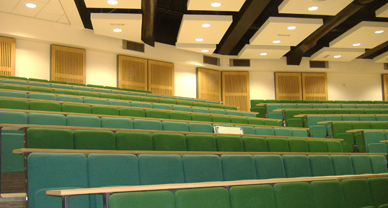 Layout of the lecture seating. 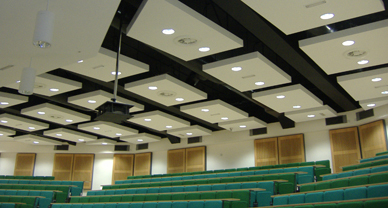 Minimise noise from neighbouring rooms and corridors.